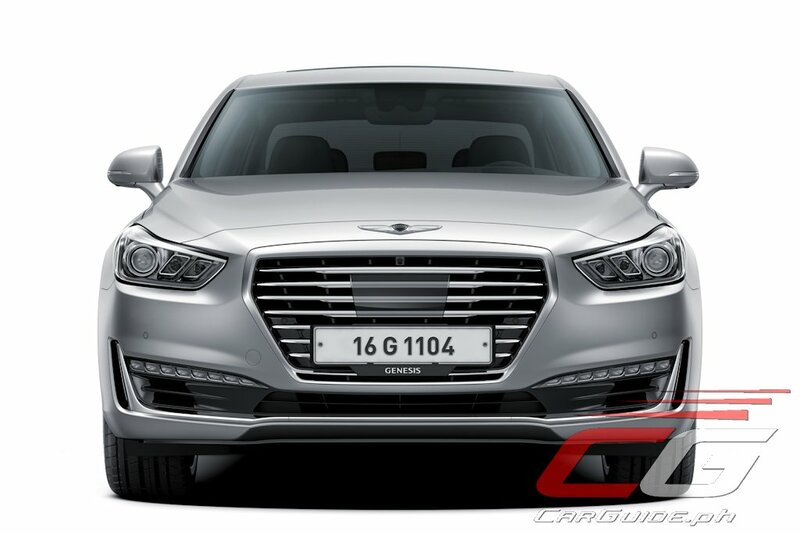 In a move that could only be described as bold and daring (and a bit surprising actually), Hyundai Philippines is making its flagship Genesis G90 luxury sedan available for indent order. Dubbed, “The Next Generation of Luxury”, the Genesis G90 is not only Hyundai’s flagship sedan, but it’s also the company’s luxury division, Genesis Motor’s flagship as well. 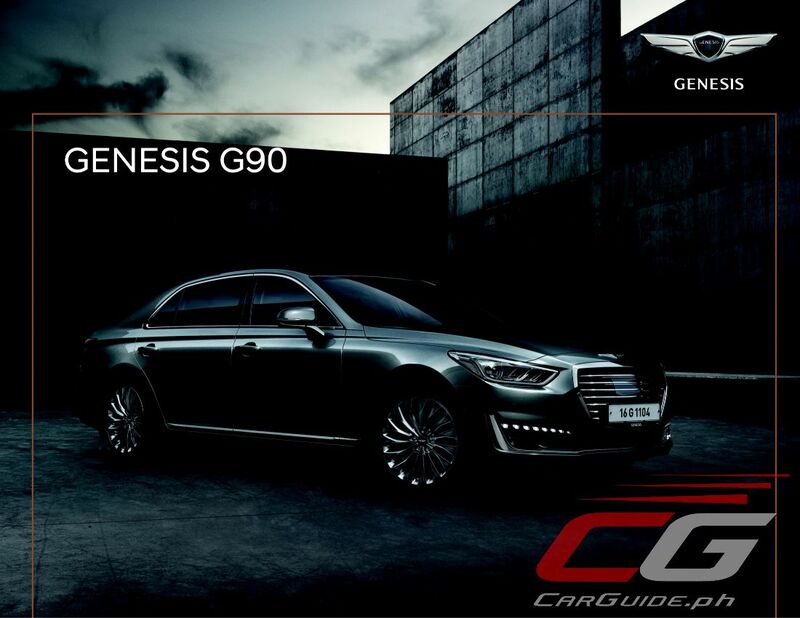 Infused with power and poise, the Genesis G90 can be yours for an eye-watering P 7.528 million. That’s not a typo. That’s P 7,528,000. For a Korean car. Paying German luxury money for a Korean automobile may seem crazy, but Hyundai Philippines sees it as a move to bring up the brand’s image. 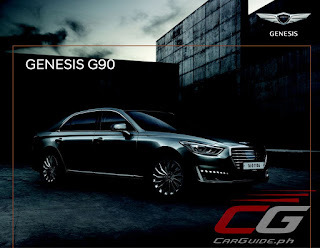 Embodying a more progressive approach to luxury and innovation, the Genesis G90 has an award-winning design, bestowed by an international jury that makes up the Good Design award. 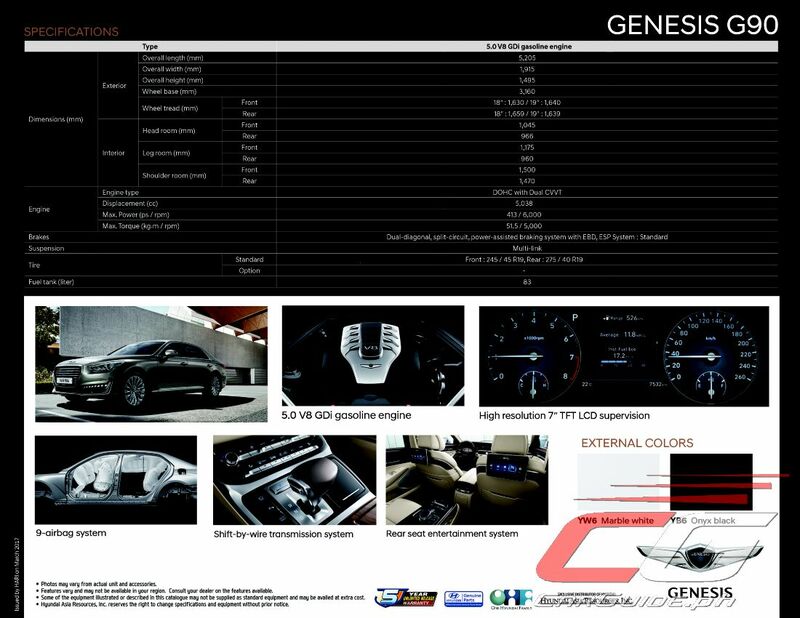 The muscular design features an imposing wide-set front grille crowned by the Genesis Motor’s winged emblem. Inside, it’s a feast for all the senses with Nappa leather and rare hardwood dotting the cabin. The double sound-proof glass and triple-sealed doors easily makes it one of the quietest and most serene cars in its price range. 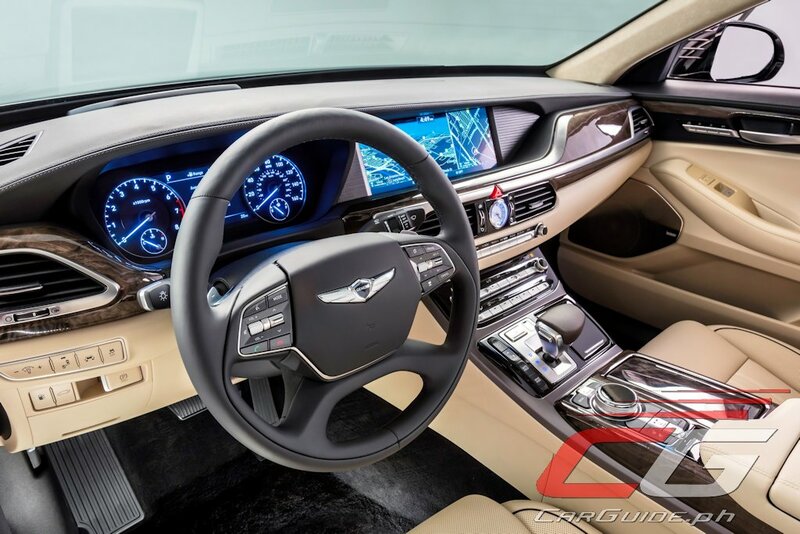 The quiet interior also helps to bring out the most from the Genesis G90’s full-featured infotainment system. 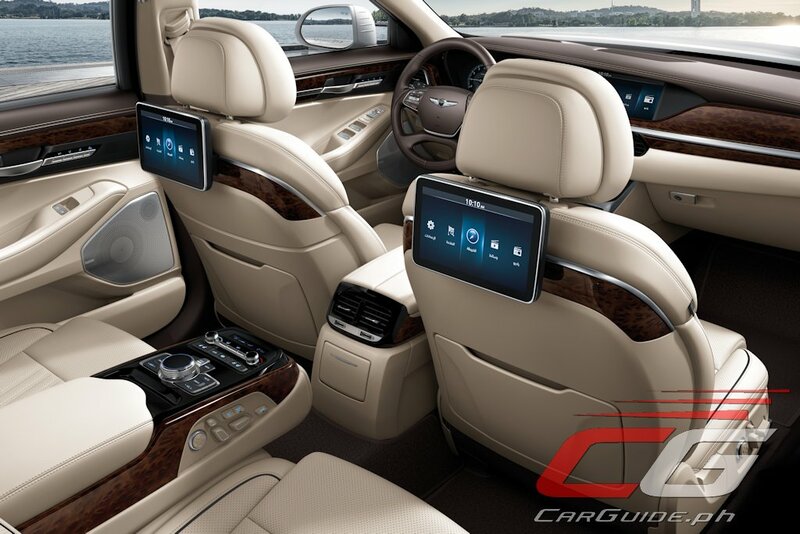 It features a 12.3-inch touchscreen display for the front seats and two 9.2-inch monitors for the rear passengers. A 17-speaker Lexicon Quantum Logic Surround Sound system and wireless charging are just some of the standard features. 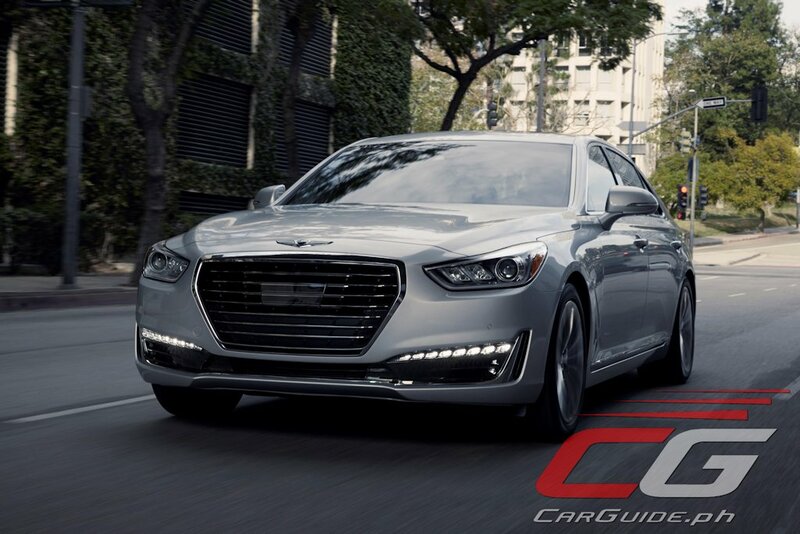 Under the hood, the Genesis G90 nets you a 5.0-liter 32-valve V8 engine delivering 425 horsepower. Fitted with gasoline direct injection, this award-winning engine is mated to an equally advanced 8-speed automatic with four driving modes: Smart, Eco, Sport, and Individual. It also has an adaptive suspension control—marrying both integrated chassis control and electric suspension control; Lane Departure Assist, Blindspot Detection, front and rear sensors, and a 9-airbag system. 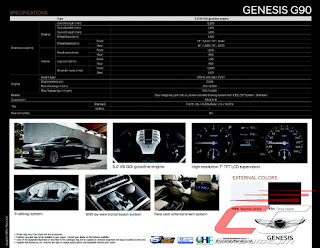 The Hyundai Genesis G90 is available in two colors: Onyx Black and Marble White. Wow! Almost same price with nissan gtr but far different to category.real value for money. I was surprised at the price initially, but then I saw it and its features at MIAS. After that, I think it's a bargain for that price compared to its Japanese and European rivals. Seriously, mas maraming standard features. This Korean brand has balls the size of Patagonia. No one on their right mind will get this over the European/Japanese/American car. Don't look now but this car outsells and outranks the similarly sized Lexus LS in the US. 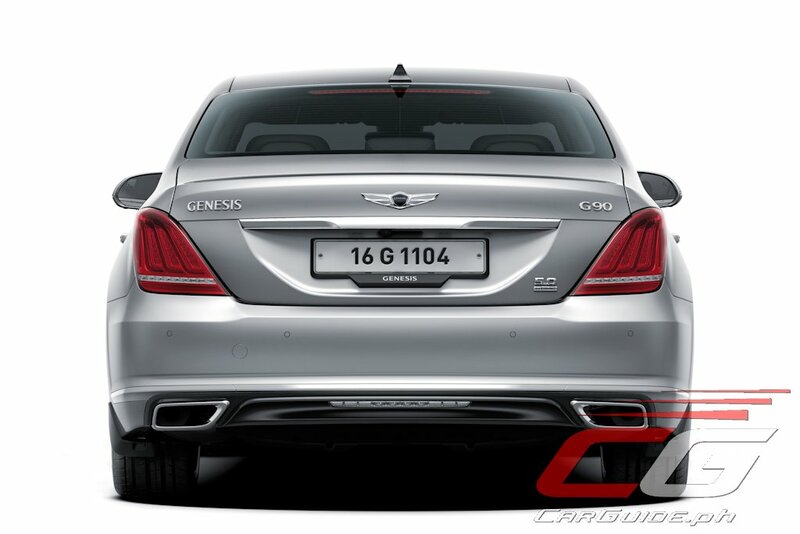 Only European luxury brands outranks this in Car and Driver ratings. Only the non enthusiast will say dont buy this, If you are using your brain well,this is a best bang for the buck. I agree (I'm the 3rd one who commented in this thread. For that price I would much rather pony up and get a Panamera, thank you.